Come and play at our club’s biggest weekly highlight – Twilight 9 holes! This event is open to members and guest. 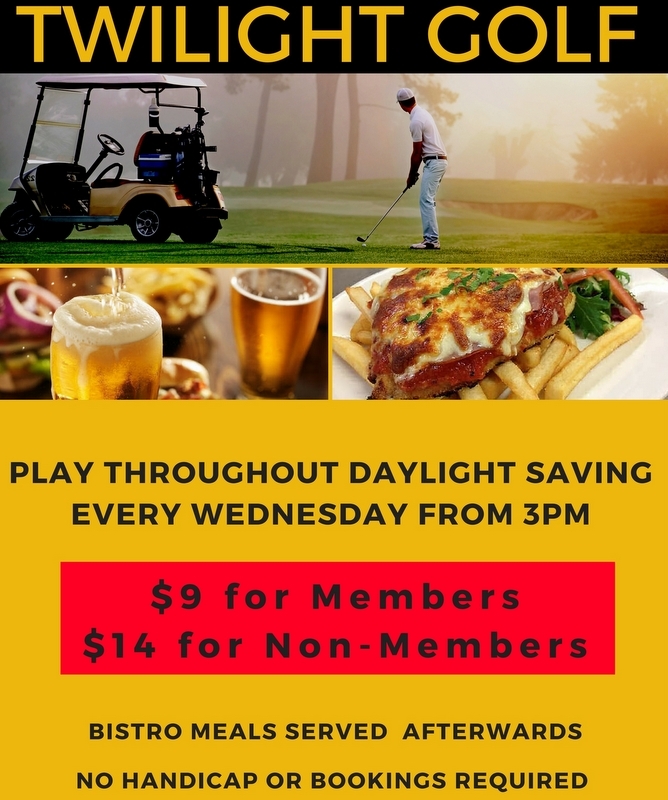 For a low fee, you will enjoy playing Twilight, teeing off from 3pm to 6pm and enjoy a hearty meal in the clubhouse after. The Twilight event is only $9 for members and $14 for non-members. In addition to a generous voucher for the winners on the day, there is also an ongoing twilight ‘eclectic’ whereby you will be in a chance to win more prizes at the end of Twilight ‘season’. Come and bring your mates down for Twilight and enjoy the roos as they come out towards the end of the day. Lost ball, drop another ball at approximate spot, penalty one stroke.